Spy photos of the latest in a series of Royal Enfield customs being unveiled at motorcycle shows this season are on the Royal Enfield USA Buzz Blog now. 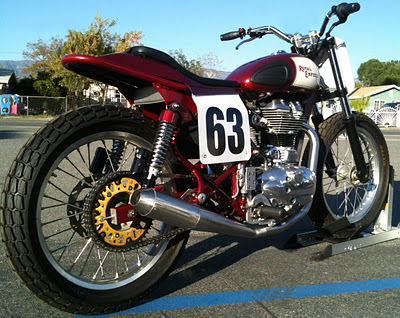 Crowds at the Los Angeles International Motorcycle Show this weekend will see this Royal Enfield "flat tracker" custom. It was put together by San Bernardino dealer Doug Douglas Motorcycles. According to the Buzz Blog, this may become available from Doug Douglas in kit form for both street and track. can we perform this kinda modifications here in india??? 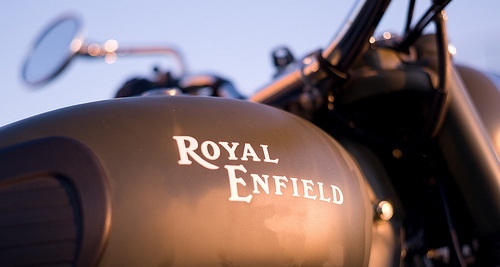 Now, if Enfield built a bike like that I'd trade in my Sportster! Thats a awesome looking piece of machine ! !